Floral Designer Silver Necklace : LOVE2HAVE in the UK! 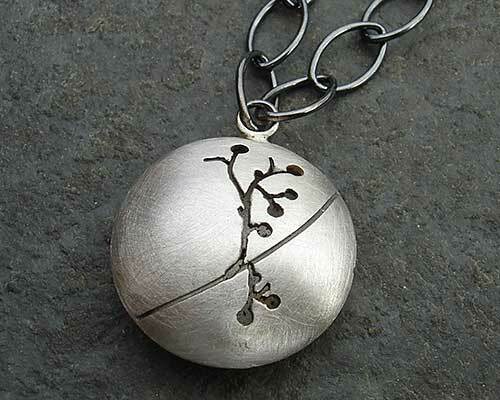 This women's handmade sterling silver necklace has a floral design which is depicted cleverly by the use of cut out oxidised detailing portraying nature and growth in the form of branches with springtime buds. The designer styling to the cutouts has a superb artistic interpretation, and the blackened areas highlight this concept. The round pendant has a width of 22mm, and it comes with a steely matt finish. It is domed in shaping. 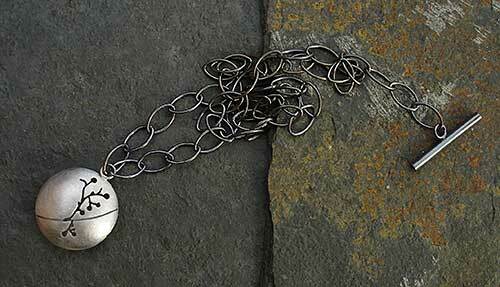 The chain comprises of large oxidised silver links and measures 16 inches long.